In a splash of olive oil, sauté the onions until translucent, add the peaches. Sprinkle the cinnamon on top and sauté until you smell it. Add the balsamic and the molasses. Cook this down until the balsamic reduces to a syrup. I like a stiffer chutney, so I reduced it right down. Season to taste. 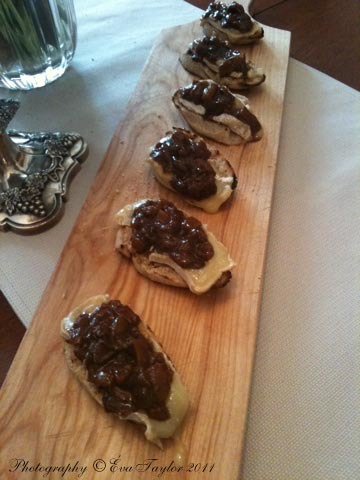 Serve over room temperature Brie on lightly BBQ'd baguette (BBQ the baguette WITH the brie to slightly melting). 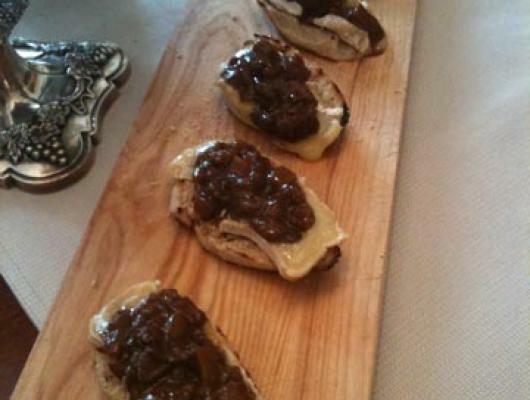 Top with your home made chutney and enjoy.